I was feeling panicky. I was baking muffins, big giant muffins, and what did I see in my cupboard? Or rather, what did I NOT see enough of in my cupboard? 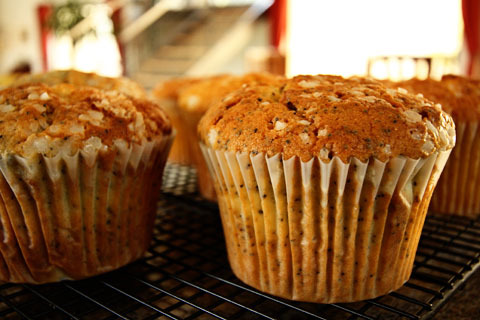 Muffin liners. Yikes! Everybody knows that for a proper muffin you need a paper cup, it’s just not the same without one. Plus then you scrub your pan like crazy afterwards. If you’ve been reading this blog, you will know that my relationship with South Africa regarding baking supplies is a bit strained. We just don’t seem to see eye to eye, the two of us. 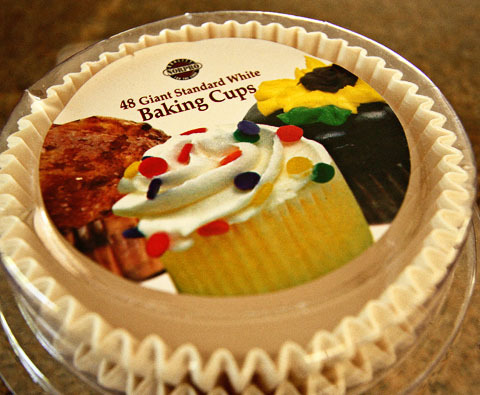 Finding paper muffin liners for regular size muffins would be enough of a challenge, I’m sure, but I knew there was not even a sliver of hope of finding liners for those jumbo muffin cups I have. I have them from the U.S. of course, and I ordered them from Amazon together with the liners I was now running out of. What to do? http://rcm.amazon.com/e/cm?t=jobur-20&o=1&p=8&l=as1&asins=B000HK20NS&nou=1&ref=tf_til&fc1=000000&IS2=1&lt1=_blank&m=amazon&lc1=0000FF&bc1=FFFFFF&bg1=FFFFFF&f=ifrNothing much, it turns out. For who do you think came to the rescue? A reader, of course! We had been emailing back and forth for a while about this and that expat question, and now he was planning a business trip to South Africa prior to moving here. More or less just at the moment I was standing there staring at my muffin cup situation, I received another email with estimated travel dates and did I need anything from the U.S.? Muffin cups, was my immediate reply. You have never seen me type so fast. And drammamine non-drowsy, s’il-vous-plait – that had also been in the back of my mind. So at the end of last week, I received my muffin cups via personal delivery. Thank you Ian! 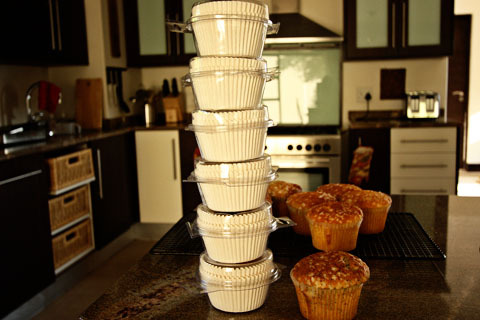 He must have overestimated my baking prowess, because he brought me an entire stack of muffin cups. Six boxes of 48 cups each, to be precise. Each double batch makes twelve muffins, so I now have enough cups for 24 double batches. That’s a lot of giant muffins. Anybody have any good muffin recipes? Noisette, for one, will be very pleased with my newfound muffin mania. Except if I make the bran kind, so please don’t bother with those if indeed you have a recipe to share. The nutella cupcakes I made the other day were more to his liking. sound very good, even though I can assure you they taste delicious all the same. It now occurs to me that perhaps I should keep an updated wishlist on Amazon and publish it here on my blog in regular intervals. What’s in YOUR (Expat) Suitcase?